Are you considering expanding your business by acquiring a competitor and/or moving into a new area of business? If so assessing the people related issues of your target entity are just as important as the financial aspects of the business. I have a standard assessment checklist based upon many years experience of such projects, to either provide a framework to assist your assessments, or to provide the basis upon which I would undertake the exercise on your behalf. 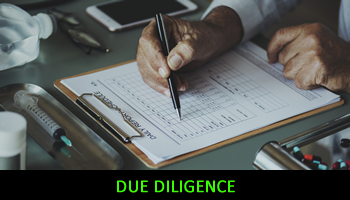 To discuss any issues around undertaking due diligence exercises whether in relation to potential mergers and/or acquisitions or in relation to contracts you may be considering bidding for, please give me a call on 07850 208701 or email me on rcwhrsolutions@talktalk.net noting your contact telephone number and I will come back to you as soon as I possibly can.